Note: I wrote this in 2007 while a military analyst at NBC News. The situation has changed a bit, but I think the sentiment still is true today. Lt. Gen. Ed Soriano, left, presents Jessica Hebert, sister of Spc. Justin Hebert who was killed in Kirkuk, Iraq, with an American flag during his military funeral (AP Photo/The Herald, Meggan Booker). Ed and I served together in Desert Storm - this must have been his toughest duty. I walked over and read the simple but powerful words in French and English, "In gratitude to the United States of America and in remembrance of her 56,681 sons that now and forever sleep in French soil." A elderly parishioner sitting in a pew nearby saw me reading the inscription and asked if I was an American. I said that I was – she slowly rose, nodded at the memorial and said, "You are welcome in France." Over the years, over a million American troops have died in military service. Each fallen warrior is afforded a military funeral. Military funerals symbolize respect for the fallen and their families. Anyone who has attended a military funeral will never forget it – the American flag draped on the coffin, an honor guard in full dress uniform, the crack of seven rifles firing three volleys as Taps is played on the bugle, the snap of the flag as it is folded into the familiar triangle of blue, the reverence of fellow warriors. So why are we talking to these people? It came as a surprise only to those few in the Obama Administration who are naive enough to believe that Iran is serious about curtailing its nuclear enrichment activities and halting its quest to develop nuclear weapons - the May 16 round of talks in Vienna were at best a failure. Nothing was accomplished, except that the Iranians agreed to, yes, meet again to talk about the talks. While this kabuki dance continues, the centrifuges in Iran continue to spin unabated. Yet, President Barack Obama, National Security Advisor Susan Rice and Secretary of State John Kerry remain confident that they can convince the Iranians to give up their ambitions to acquire a nuclear weapons capability. The talks were obviously such a disaster that the negotiators, the EU's Catherine Ashton and Iranian foreign minister Javad Zarif, were joined by Secretary Kerry in an effort to salvage something, anything, positive. It does not appear that was successful - in typical Iranian fashion, Iranian deputy foreign minister Abbas Araghchi stated that although "there was no tangible progress in this round of the talks" and the differences between the two sides were too great to begin drafting a final agreement - due by July 20 - the talks would continue next month. This is what the Iranians do - present an unrealistic, non-negotiable position that is rejected by the P5+1 (the permanent five members of the United Nations Security Council plus Germany), and then agree to continue the talks. In case Mr. Kerry does not recognize this tactic, it is called buying time. 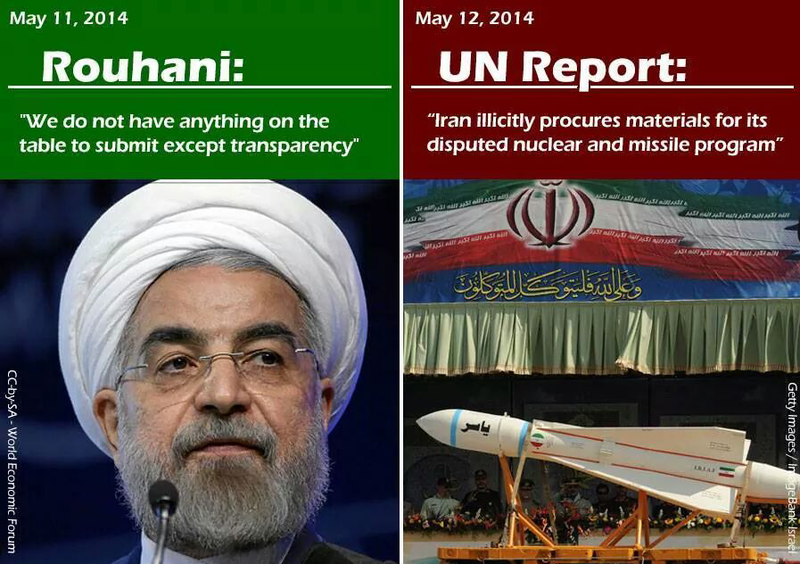 We wait for the next round of talk, the Iranians continue to enrich uranium. Am I missing something here? The talks will continue - a day here, a day there. As the July 20 deadline approaches, the two sides will exercise the six-month extension provision that is part of last year's "temporary agreement" to continue to try and reach a final agreement. In that temporary agreement, the West agreed to lift some sanctions on Iran and release some of its assets that had been frozen in the United States. In return for what? Yes, an agreement from the Iranians to talk and to limit its enrichment of uranium to the five percent level. Unwittingly, Secretary Kerry tacitly granted the Iranians something that up until that time they did not have under their international treaty obligations and at least six UN Security Council resolutions - the right to enrich uranium at all. The remarks of current and former Obama Administration officials have been interesting. - Speaking to the American Jewish Committee, former Secretary of State Hillary Clinton said that "no deal is better than a bad deal." Considering the audience, was she supposed to say (truthfully), "We are doing nothing and will worry about an Iranian nuclear weapon after the fact. After all, they are not a threat to us - yet." She also said she was "personally skeptical" that Iran would agree to a comprehensive deal to remove its nuclear weapon capabilities but that the Obama administration faced a promising opportunity that required it to "give diplomacy space to work." Really? Just what is this "promising opportunity?" - Ambassador Rice, speaking at an Israeli Embassy event reiterated the American commitment to prevent Iran from obtaining a nuclear weapon. Again, considering the audience, what else could she say? - Secretary of Defense Chuck Hagel, speaking in Israel, stated that United States "will do what we must" to prevent Iran from obtaining a nuclear weapon. 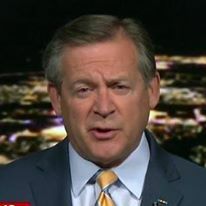 I don't think the Iranians are frightened by Hagel's thinly-veiled threat of use of military force - they have assessed the Obama Administration as weak and indecisive. I also don't think the Israelis believe or trust the Obama Administration. The American officials (I originally used the word "leaders," but thought better of it) say all the right words, but they seem desperate to reach some sort of agreement with the Iranians. That would give them at least one foreign policy success after a parade of stunning failures, the last of which was the embarrassing collapse of the Israeli-Palestinian peace talks while Secretary Kerry was directly involved. I hope the Administration remembers Hillary Clinton's words, "no deal is better than a bad deal." So far, this is a bad deal. Syrian President Bashar al-Asad, who has been in office since his father's death in 2000, is nearing the end of his second seven-year term. A quick reminder of how Bashar came to be the president will provide some insight into the Syrian electoral process. Bashar, second son of Syrian strongman Hafiz al-Asad, was called back from his ophthalmology studies in the United Kingdom when his older brother Basil was killed in a car accident in 1994. The poster in the above photograph refers to "the eye doctor." After his return, the tall, introverted physician was groomed to succeed his father, much as Basil before him. That entailed a direct field-grade commission in the army, imaginary graduation from the war college, command positions, etc., most in name only. It was no secret to anyone in the country that Bashar would be the next president of Syria, but that was never mentioned out loud. Although many Syrians objected to what amounts to a dynasty in the country, they have had no say. Despite the trappings of a republic, Syria is a dictatorship ruled by the Ba'ath Party, a party dominated by the minority Shi'a-offshoot 'Alawi sect and the al-Asad clan. Complaining about the al-Asad family out loud in Syria usually results in the complainer going wara' al-shams (behind the sun, meaning they just disappear). In 2000, Hafiz al-Asad died, putting Syria into somewhat of a constitutional crisis. The Syrian constitution, regarded by most Syrians as merely hibr 'ala waraq (ink on paper), required that the Syrian president be 40 years of age, and a Muslim. At that time, Bashar was only 34 years old. The Syrian parliament went into emergency session and within one hour changed the Syrian constitution to change the age requirement to 34 years of age. You can't make this stuff up. 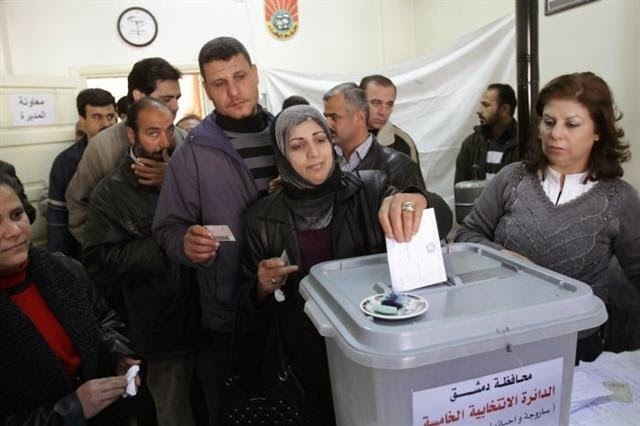 A referendum was held, asking the electorate to vote for or against Bashar al-Asad as the new president. With a turnout of 94.6 percent, Bashar was approved with 99.7 percent voting yes. The joke in Damascus at the time: when told of the results and asked what more he could ask for, Bashar replied, "the names of the 0.3 percent...."
In 2012, under pressure from the rebels who were on the verge of overthrowing the al-Asad government, Bashar ordered the drafting of a new constitution, which to no one's surprise, was overwhelmingly approved in a referendum. ** The voter turnout was only 57.4 percent (remember - this was during a civil war), and 89.4 percent voting in favor. The new constitution changes the selection of the president from a referendum on one candidate to an election with multiple candidates. A law adopted by the Syrian parliament in 2014 (at Bashar's direction) prohibits candidates who have not lived in Syria for the past 10 years - this removes self-exiled opposition leaders from eligibility. For the election which will be held on June 3, a total of 24 potential candidates have applied to be on the ballot. Of these 24, only three have been determined to meet all the eligibility requirements and will appear on the ballot. 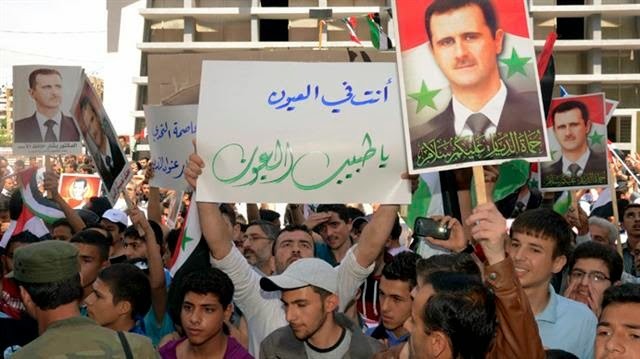 It is meaningless theater - Bashar al-Asad will be re-elected in a landslide. Yes, you heard it here first: Bashar al-Asad will be re-elected in a landslide. I have a good Syrian friend, a doctor - we will call him Dr. Walid - who described a voting experience a few years ago. He went to work at the hospital on election day. He was summoned to the hospital administrator's office, where he was introduced to two Ba'ath Party "officials" - his description of them was more akin to "enforcers." They explained that since the doctor was very busy with patients, they had taken the liberty of bringing his ballot to him and had already filled it out. How considerate, no? This will be another sham (pun intended) election, Bashar will be re-elected by a huge margin, and the dictatorship in Syria will go on. The civil war will continue, more civilians will be killed. * This is a play on words for my Arabic-speaking readers. The word sham in Arabic means Syria or Damascus, depending on the word preceding it. See also another use of the word at my earlier article, What's in a name? - the Syrian-Iranian car company. ** The military situation has changed dramatically since 2012. With the introduction of Iranian Islamic Revolutionary Guard Corps fighters and advisors, plus fighters from Lebanese Hizballah, the Syrian armed forces have regained the upper hand. 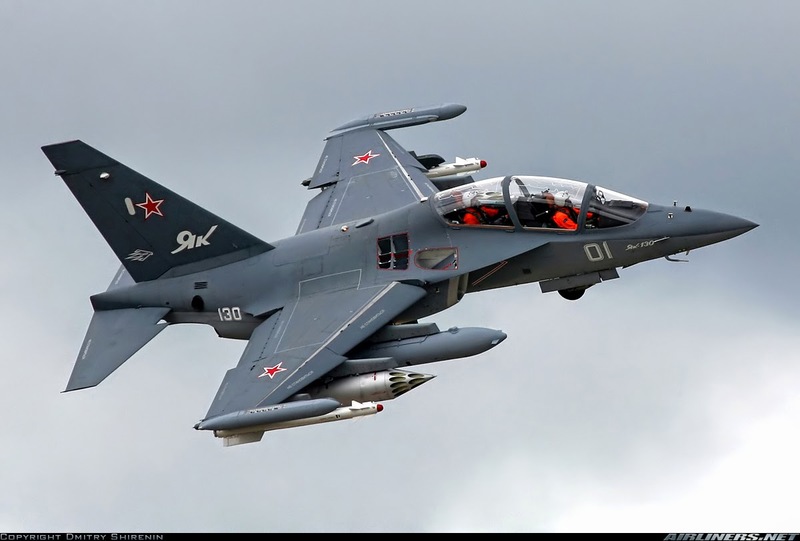 Pravda, the virtual public affairs arm of the Russian government, reported this week that the Russian government-owned arms merchant Rosoboronexport and the majority state-owned United Aircraft Corporation will deliver the first batch of Yak-130 (NATO: Mitten) jet trainers to the Syrian air force later this year. The Russians will deliver nine jets to Syria before the end of 2014, an additional 12 in 2015, and the final 15 in 2016. The delivery of the 36 aircraft will fulfill a 2011 contract between the two countries; Russian sources claim this is the last arms contract between the Syrian regime of Bashar al-Asad and the Russians. The timing of the delivery comes at a time when the Syrian air force needs better capabilities to deal with the ongoing revolution in the country, however, the delivery will no doubt generate loud protests from the United States and European nations. In the absence of a no-fly zone, the addition of the capability to deliver PGMs will be a quantum leap in the effectiveness of the Syrian Air Force against the opposition. While these are not state-of-the-art fighters in the Western sense, they can be highly effective in the Syrian battlespace. 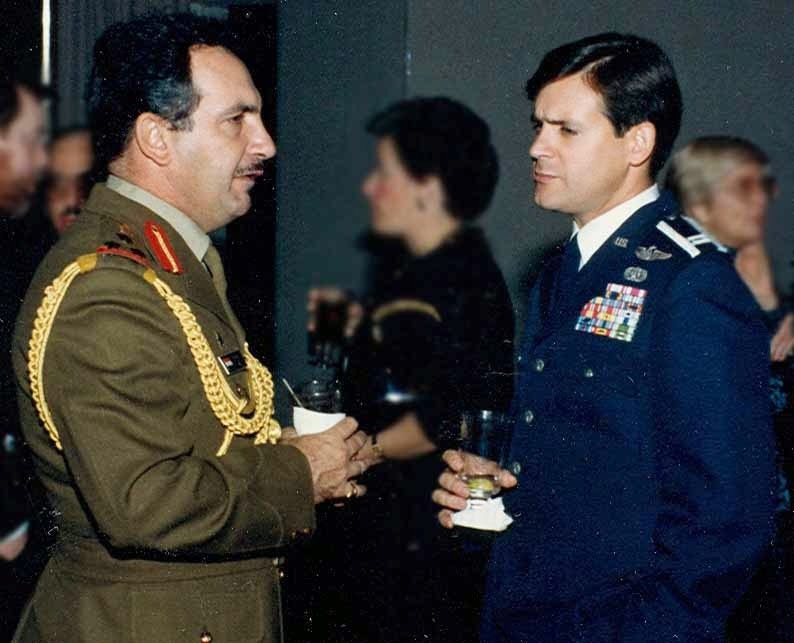 As many of you know, I served as a liaison officer to the Iraqi directorate of military intelligence during the last year of the Iran-Iraq War, making numerous trips between the Defense Intelligence Agency at the Pentagon and the U.S. Embassy in Baghdad. I was part of the then-highly classified relationship between the United States and Iraq to ensure that the Iranians did not emerge as the victors in the eight-year bloodbath known to us as the Iran-Iraq War. The Iraqis refer to it as the First Persian Gulf War, and by the Iranians as the Imposed War. I have been interviewed on numerous occasions about American support for the Saddam Husayn regime in 1987 and 1988 - usually the final reporting is flawed, out of context, or just plain inaccurate. I am not sure how this interview stacks up against the rest - it is in Farsi. I have included the finished interview in Farsi for those of you who can understand it - the interview is preceded by a short clip entitled "Introducing Rick Francona," but from my limited understanding of Farsi, it could have been entitled "Portrait of a Spy."